Joed Viera/Staff Photographer- Richard S. Manning picks up one of his 'One Family' paintings. 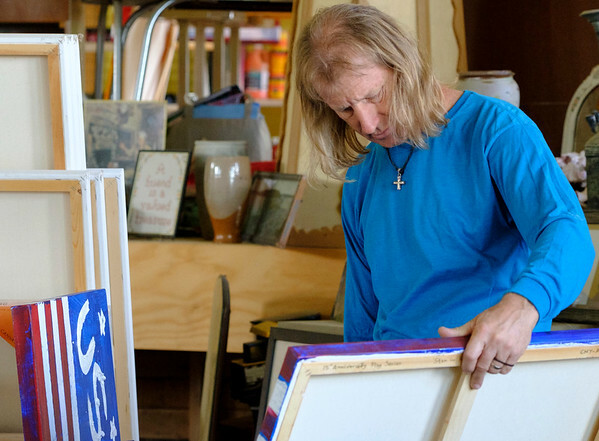 Manning has painted over 1,800 pieces in memorial of 9/11. Manning has pledged to create 3,000 pieces total.